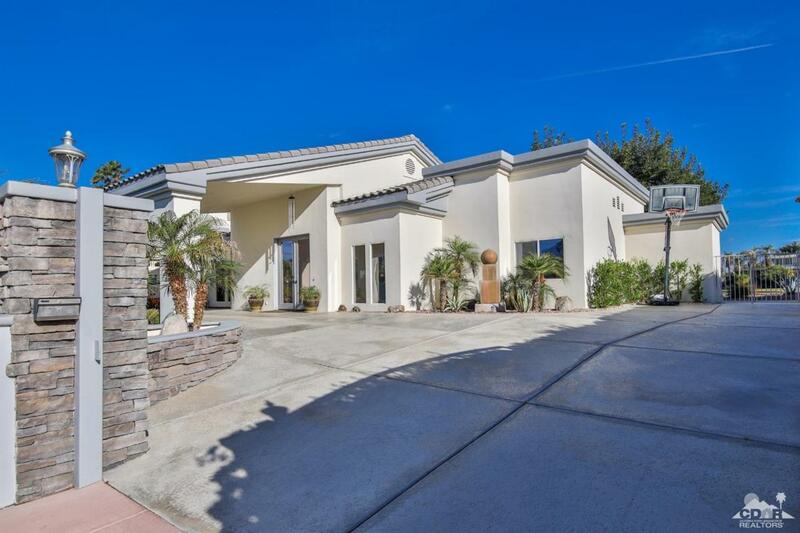 Private Gated Home Features 2848 Square Foot of Living. 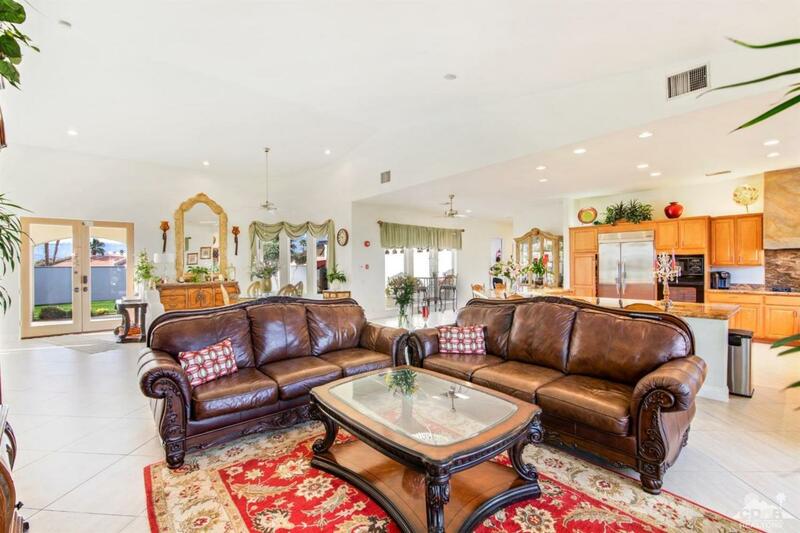 3 Bedroom 4 Bath situated on the 4th hole of the Famous Bermuda Dunes Country Club par 5 Lake 9. 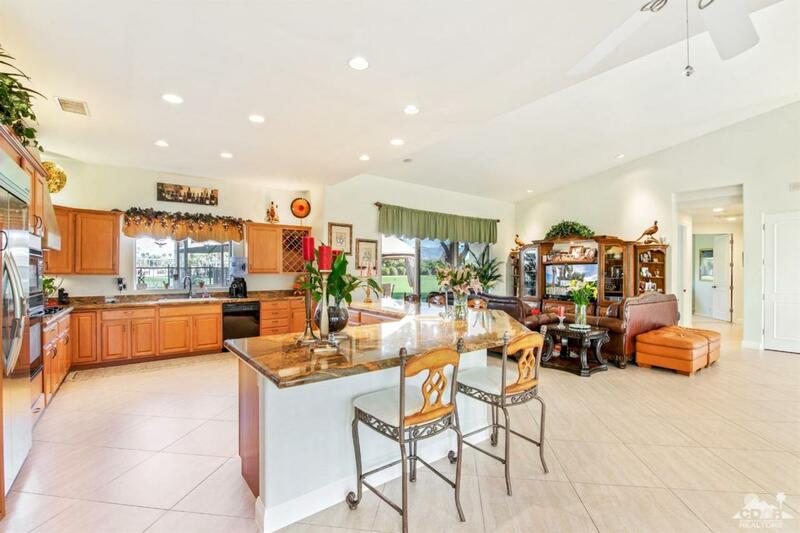 The Open Floor plan and high ceilings are perfect for entertaining around the extremely large kitchen for families that love to cook. The master suite is privately located on one side of the home with a fantastic master suite bathroom and walk in closet. The smooth stucco exterior of the home brings fantastic curb appeal. A separate Golf cart garage allows easy access to head out on the course or storage. The pool and spa situated on the fairway with mountain views lasting till the sun goes down is the icing on the cake. Made with steel beams and quality finished at 549,000 this home brings great value so come see for yourself. 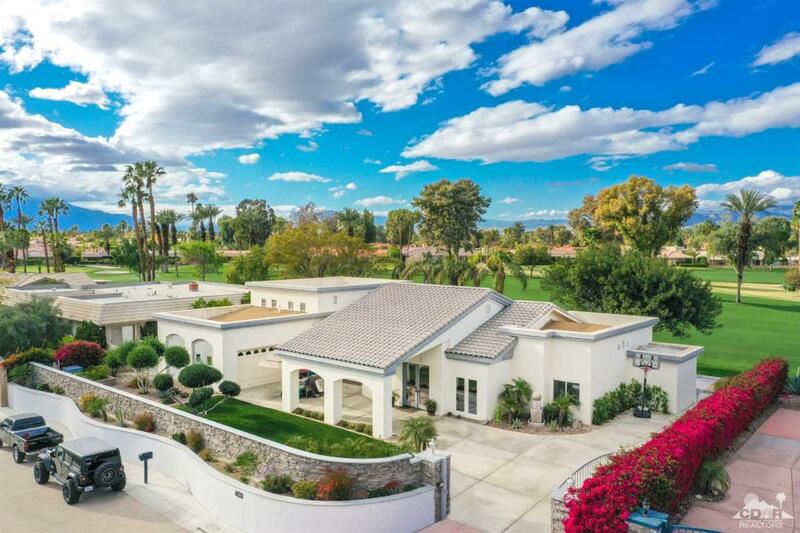 Listing provided courtesy of Scott Braun of Bennion Deville Homes.